Thinking of quitting breastfeeding? Exactly how to stop breastfeeding depends a great deal on you and your child. Each mother is different and so is each child. The best way for both you and your baby is to wean as gradually as possible. Sometimes you can drop a feeding without replacing it at all. Sometimes you will need to replace it with formula or a snack…it really depends on your child. Here are a few examples to help you. If your baby is quite young and you want (or feel the need) to wean him or her, you will need to replace those feeding with a bottle of formula. If your baby is not already used to a bottle it may be a difficult switch. First, try giving the baby a bottle at a feeding before the breast and then finish by breastfeeding. This way your baby can relate that these are both ways to get food. Next, drop a feeding and just give the bottle for that feeding. Remember: do not pump! You breast milk supply needs to adjust to not breastfeeding now. Continue to drop feedings once a week or month (or once a day if you need to do this quickly.) Just remember…the slower you make the process, the easier it is for both your body and your baby. A common time to wean a child is at about a year of age. This can be a lot easier than a small infant because you can replace the feeding with a meal with the family, a snack or a drink from a sippy cup. Again, the slower you drop feedings, the easier it will be on both of you. 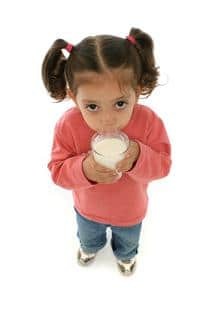 If you are ready to wean an older child, you will need to talk to them about it. This is the one situation where it may work easier to quit more abruptly. They probably won’t be really excited about quitting breastfeeding.